My father is from Michoacán and this is a soup from his home state and I guess mine as well, in some way. I remember him talking about fishing in one of the largest lakes in México: Pátzcuaro. I also remember him coming back from visiting family with a large bag of small dried fish that would be used to make something for breakfast and other ways as well. As a kid, I never tried it. Those little fish eyes kept staring at me! Maybe I will when I get a chance to visit Pátzcuaro again. I’m not usually a big fan of eating fish but this soup is more a vegetable soup with some fish to add texture and flavor. This is my version of Caldo Michi. 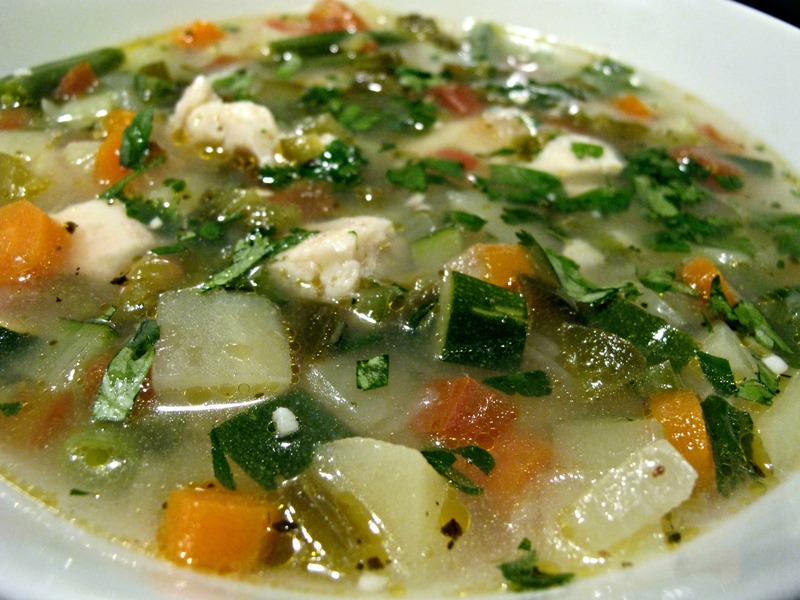 And as a separate note: Jalisco, Michoacán’s neighboring state, also has a large lake (Chapala) and makes a similar soup. Great minds think alike! Season the fish fillet with salt and pepper. Heat the oil in a large skillet over medium-high heat. Fry the fish until slightly opaque. Remove from the pan and set aside. When cool, chop into 1-inch cubes. 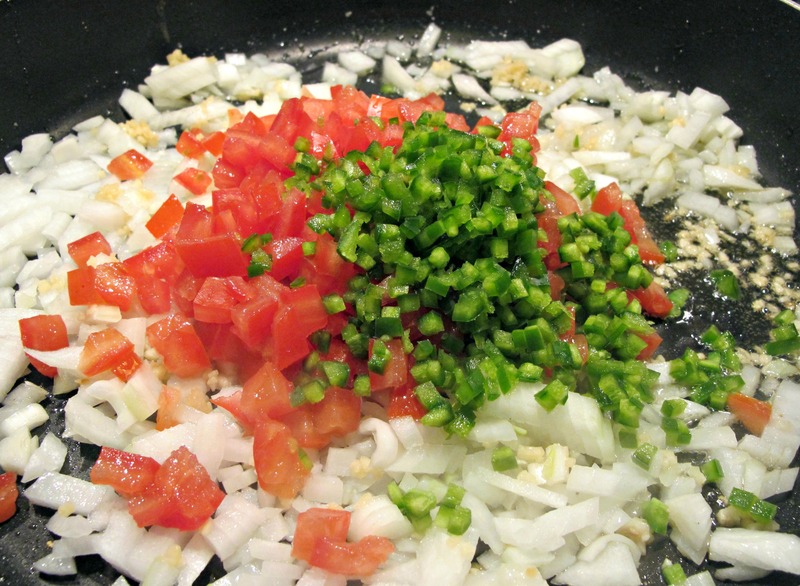 In the same skillet, add the tomato, onion, garlic and jalapeño and fry until the onion is soft and translucent. 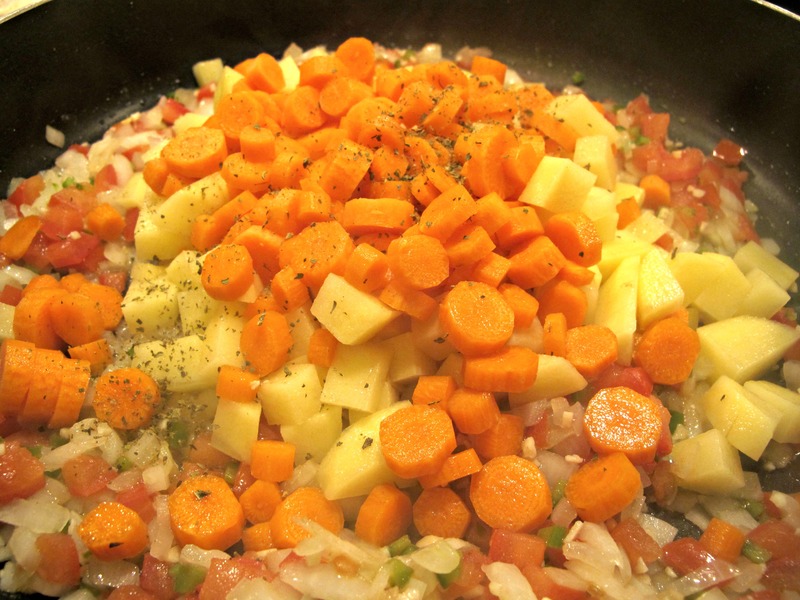 Add the potato, carrot and oregano. Stir and cook for 5 minutes. Add the water along with the zucchini and green beans. 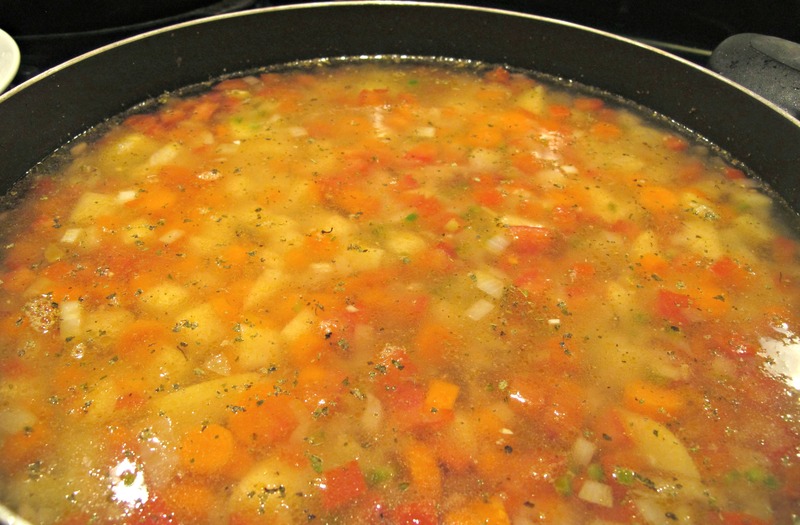 Simmer for 20 minutes or until the vegetables are tender. 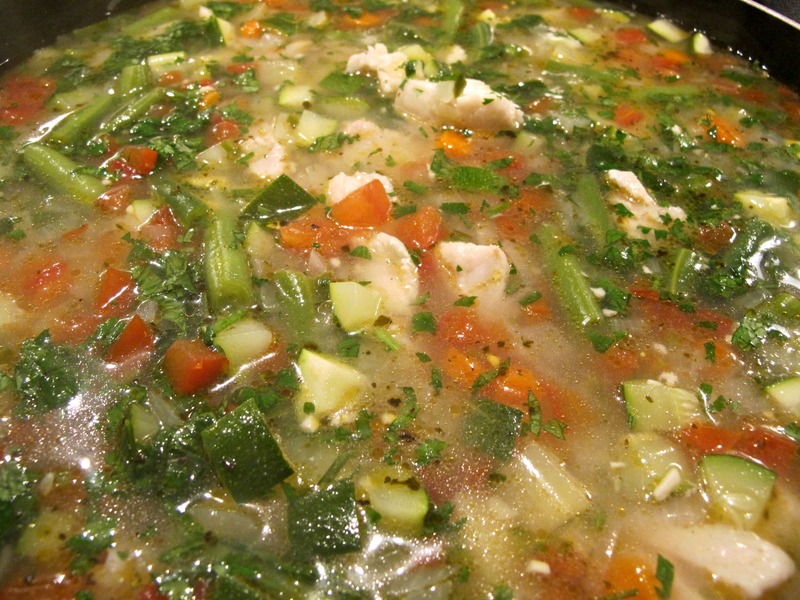 When the vegetables are tender, stir in the reserved fish and simmer for another 10 minutes. Add the cilantro and remove from the heat. Let the soup sit for at least 5 minutes. Adjust the seasoning to your taste and serve with the fresh and pickled toppings along with corn tortillas, preferably freshly made, on the side. Oh boy, I love the look and sound of this! 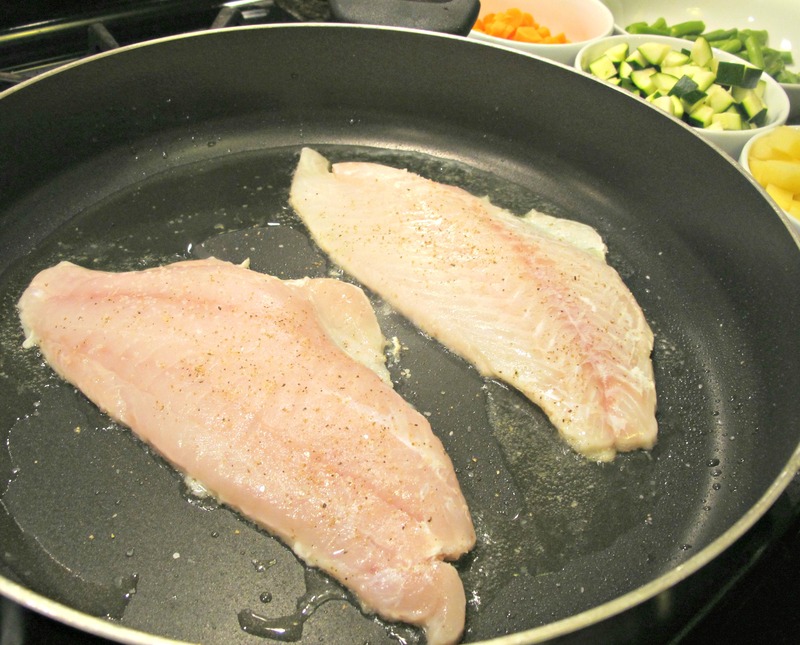 I’m always looking for more ways to get more fish (so good for you) into our diets. Will try this for sure. thanks.